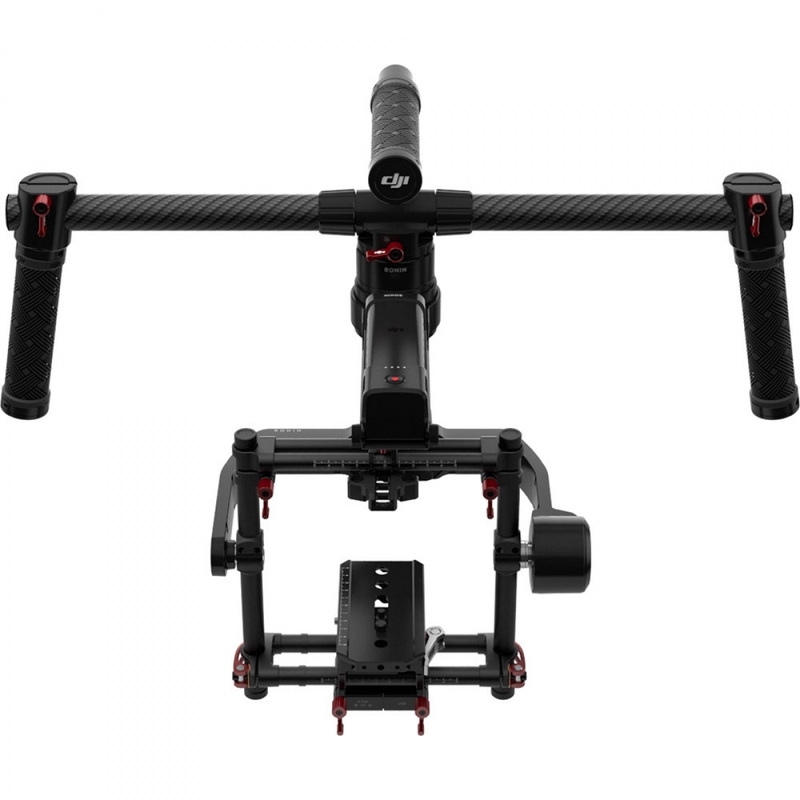 The Ronin-M 3-Axis Handheld Gimbal Stabilizer from DJI is a camera stabilization system designed to give the operator close to the freedom of unencumbered handheld shooting but without the hand-shake. Suitable for most camera types and configurations up to 8 pounds, the Ronin-M uses brushless motors that work on three axes: one for side-to-side "roll" - keeping the horizon level - one for tilt, and one for pan. The system is computer-controlled and features a tilt range of 105? up / 165? down plus a roll range of ±110?. Furthermore, the system boasts a precision of control of ±0.02°, enabling precise camera moves and stability correction against even very fine movements. In addition to handheld shooting, the gimbal can be used in vehicle mounting scenarios and other contexts where vibrations or other abrupt movements would make tripods and rigid camera support systems unsuitable. As with sled and vest style stabilizers, motorized gimbal systems require balancing before use. Once balanced, you can configure the Ronin-M for your particular camera arrangement using the Assistant Software for compatible iOS and Windows (Desktop) devices with Bluetooth. Because every camera and lens combination has a different mass and weight distribution, there is an ATS (Auto Tune Stability) procedure in which each axis will adjust individually, repeating the process until all three are aligned. A gimbal tuning stand is provided so you won&apos;t have to hand-hold the rig during this process. SmoothTrack gives a single gimbal operator the ability to translate their tilt and pan movements of the gimbal into smooth and stabilized movements of the camera&apos;s angle. This is designed to make framing of broad wide-angle scenes or even shooting in close quarters much easier during single gimbal operator use. After balancing the camera with a simple tap of the ATS (Auto Tune Stability) button, Ronin-M will be automatically tuned for the mass and weight distribution of your camera rig. The gimbal will intelligently adjust parameters based on the camera rig&apos;s weight and independently adjust each of the three axes until an optimal setting is found. The Ronin-M adapts the same brushless motor technology used in DJI&apos;s aerial gimbals for handheld, terrestrial use.